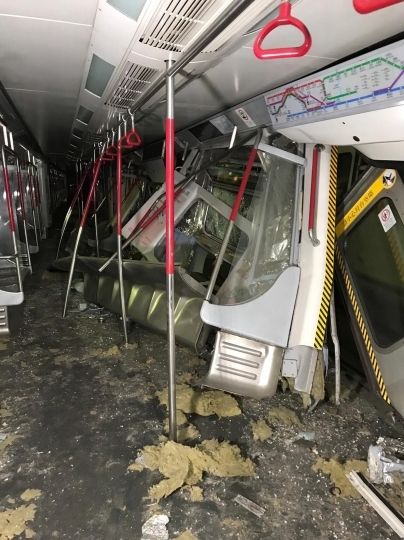 HONG KONG — Service has been suspended on part of one of Hong Kong's main subway lines after an overnight crash during equipment testing. 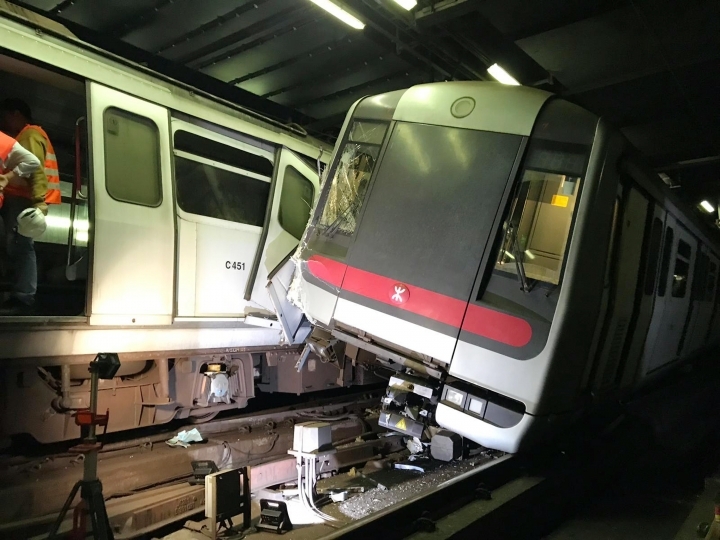 Hong Kong media reports say the driver of one train injured his leg in the early Monday morning accident, and the other had smoke inhalation. Both were taken to a hospital. Subway operator MTR Corp. said that service on the Tsuen Wan Line between Admiralty and Central stations has been suspended. The crash happened near Central. 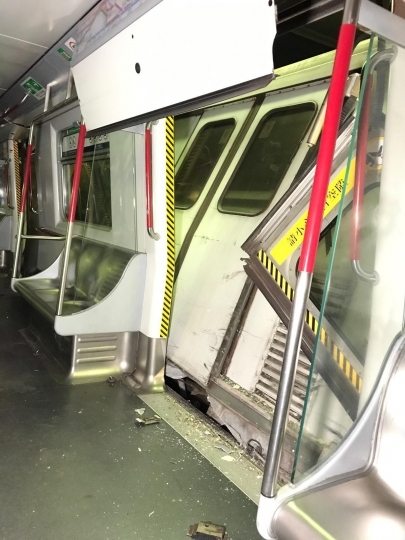 Photos released by the MTR showed one of the trains tilted part way off the tracks and the doors knocked off one subway car entrance. MTR Operations Director Lau Tin-shing said that the nighttime trials of a new signal system would be halted until the cause of the accident is determined.